What is it like to care for someone with PBA? 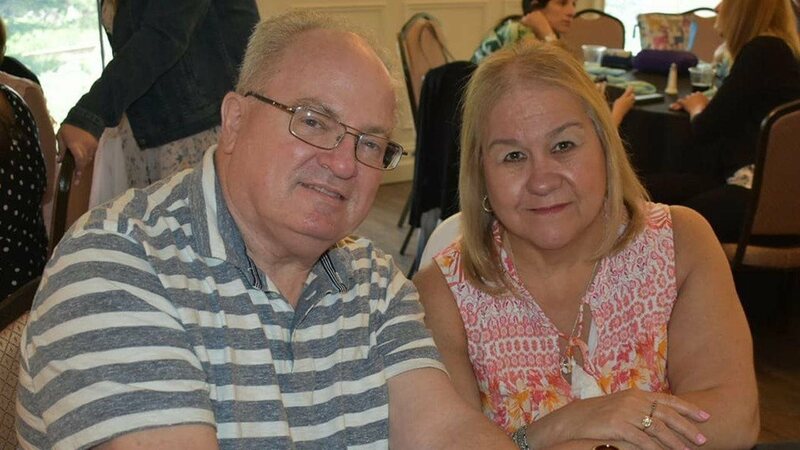 As a long-time caregiver of her husband, Jim, who has been living with Parkinson’s disease for more than 15 years, Lori is well-equipped to help him manage the ups and downs of the disease. But when she noticed Jim repeatedly laughing or crying at unusual times, even when they weren’t discussing or watching anything funny or sad, she knew she had to discuss it with his doctor. “When he would laugh, I thought he was laughing at me, and when he would cry, I didn’t know what he was crying about or why,” Lori said. Jim’s doctors initially thought the laughing and crying could be related to his Parkinson’s disease or to an anxiety disorder or depression. For several months, Lori watched helplessly as Jim continued to uncontrollably laugh and cry at unusual times without knowing why or how to help. Then she heard about PBA and discussed it with Jim’s doctors, and he was officially diagnosed the same year. Jim and Lori feel that Jim’s frequent PBA episodes had a significant influence on their relationship with one another. Who is affected by PBA? According to one study2, approximately two million people in the United States with certain neurologic conditions or traumatic brain injury have PBA and the number of people who have symptoms suggestive of PBA may be as high as seven million. What PBA signs and symptoms can you look for in your loved one? Crying when they’re not sad, or only a little sad, despite how they feel. Laughing at inappropriate times, when nothing’s funny or only a little bit funny. Crying and/or laughing suddenly, frequently and uncontrollably. Crying and/or laughing causes embarrassment or makes them feel like they stand out. Crying and/or laughing causes them to feel frustrated. Crying and/or laughing has other major impact on their life, such as on relationships and social activities. With the PBA diagnosis, Lori and Jim have a better perspective on the laughing and crying episodes, and they have been able to make adjustments in their daily life. If you or someone you care for has an underlying neurologic condition and has sudden, frequent, uncontrollable episodes of crying and/or laughing that don’t match how they feel, it’s important to talk to a doctor. A short quiz is available online at www.pbainfo.org/ to help start a conversation. 1 Miller A, Pratt H, Schiffer RB. Pseudobulbar affect: the spectrum of clinical presentations, etiologies and treatments. Expert Rev. Neurother. 2011;11(7);1077–1088.